Counting down to the opening of BTME 2015, anticipation is building ahead of a show promising more than 100 exhibitors and a week of first-class education. Exhibitors are attending from every area of the turfcare industry, with several newcomers including Perrot, Engo Group, Gianni Ferrari and GGM Groundscare. The four halls will also see a host of long-standing companies returning to the show, including Baroness, and there will be displays by Ransomes Jacobsen, Toro and John Deere. If you tend turf, you should be there too. "Our focus is now firmly on ensuring BTME 2015 builds on the excellent foundations of recent BTMEs, which have been overwhelming successes," says British & International Golf Greenkeepers Association CEO Jim Croxton. "We're constantly communicating with exhibitors to ensure BTME remains the 'must-visit' turf industry exhibition and provides the best delegate experience. We're extremely confident in providing this." In the seminar theatres and workshop, BIGGA's largest ever Continue-to-Learn education programme is thriving, with some events sold out before Christmas. For the full schedule, including free seminars covering fertiliser use, disease control and employment rights, visit www.btme.org.uk and pre-book your place. "For 2015, we're particularly proud of our Continue to Learn programme, which is the largest and most comprehensive ever. There really is something for everybody at Continue to Learn – whether you're a course manager or you're just starting out in your career," says BIGGA head of member development Sami Strutt. "I'd urge anyone thinking of booking a place to contact us as soon as possible as there is only a handful left on many of our workshops, seminars and focus sessions. Don't forget there are also plenty of free-to-attend seminars too." On Monday 19 January, the popular Turf Manager's Conference returns to Harrogate's Crown Hotel. Here five internationally renowned speakers will provide bite-size learning on a range of topics for all greenkeepers of all levels. And on the evening of Tuesday 20 January, the Welcome Celebration takes places in the Royal Hall, celebrating the various greenkeeping achievements of BIGGA members. Turf care and sports equipment supplier Sherriff Amenity is again holding the BASIS Foundation Award in Amenity and Horticulture at BTME 2015. This has been a resounding success in previous years, with an impressive pass rate. The three-day course is conducted by STRI's head of research Dr Ruth Mann and prepares candidates for the final exam held in Harrogate during the exhibition. With support from Bayer and Everris, the award is undertaken by a wide variety of professionals including those from golf clubs and other landscape and amenity organisations. "We see this as a practical way of promoting a professional understanding of pesticides," says Sherriff Amenity marketing manager Kevin Whitby. On its stand (B14) the company is showcasing a new online Turf Report and Education Platform as well as displaying fertilisers, chemicals, grass seed, dressings, sprayers and golf course equipment. Visit Syngenta's stand (B52) for a fascinating insight into turf diseases and how they impact on plant health – one that should help turf professionals make better agronomy decisions to minimise damage and protect playing-surface quality more effectively. On the stand, thanks to Syngenta R&D biokinetics crop imaging and sensing unit, you can witness new high-tech microscopy and novel 3D imagery, showing just how Microdochium (Fusarium) Patch germinates and penetrates into the leaf, and where exactly the disease pathogen attacks cells. It all helps explain how different fungicides work and identifies where modes of action are most appropriate in tackling different stages of disease and under different conditions. As the demand and pressure to produce the best possible, most consistent playing surface, continue to grow, Limagrain UK attends BTME to show its sports turf and wild flower mixtures, including the MM mixtures for golf greens, tees and fairways. Also on show is the company's other established brand of amenity grass – the Designer Range. Between the MM and Designer ranges, turf managers have access to some of the very latest varieties and a wide selection of mixtures. An added bonus is the seed treatment Headstart, which is a natural grass seed treatment. According to Limagrain, Headstart enables a more rapid germination and contributes to successful establishment. For BTME 2015, Johnsons Sports Seed is drawing together its strongest mixture line-up ever – with 12 new mixture formulations, two completely new mixtures and three brand new cultivars. The new cultivars feature high performance DLF fine fescues, like Beudin – a slender creeping red that has received the highest possible rating for visual merit under independent trials – and the No 1 rated Chewings fescue Humboldt. For sports turf applications, Johnsons leading renovation mixture J Premier Pitch sees the inclusion of the new cultivar Eurocordus. All are pre-coated with GroMax biostimulant, while the most popular mixtures are also available with the patented iSeed nutrient coating. Johnsons' stand is A20. Crystal Green, a source of slow-release phosphorus, nitrogen and magnesium recovered from nutrient-rich UK waste water, comes under the spotlight on Headland Amenity's stand (C30). Described as an 'eco-friendly fertiliser that enhances nutrient efficiency while significantly reducing the risk of leaching or run-off, Crystal Green is now used in Headland's Extend 10-10-10+2MgO product. Many BTME exhibitors are offering machinery and equipment to help turf managers and grounds staff achieve best results. Among them expect to see Dennis with the Razor Ultra and FT510 on stand A5. Sharing the site is Sisis, as it launches the Flexi400 interchangeable unit for golf fairways and sports grounds. Charterhouse Turf Machinery (B48) is unveiling a new chapter in its history as green Graden machines join red Redexim kit. Visitors can expect to see the Contour Sand Injector as well as Graden verticutters, while the Verti-Quake 2516 linear aerator is shown from the Redexim stable. With so many new products, The Grass Group has had to double its stand size this year (A35). In part this is to make room for the new signing GKB machinery, represented on the stand by the Sandfiller, plus an expanded showing from Trilo – including the BL960 blower with 960mm fan. Following on the heels of last year's launch of the ATT INFiNiSystem in a 26in configuration, The Grass Group's Stand is the venue for the unveiling of a pedestrian 30in system. Elsewhere on the stand, the RotaDairon Seed-Car makes its first BTME appearance and there are displays of CTI Tines. Supaturf's new line-up of kit, including the TXE606 and 353 marking machines, can be viewed on the Vitax stand (A2). Enhanced performance and easier operation are promised. Joining the team is the new generation Briteliner Arrow transfer wheel marker. From the Vitax portfolio, expect to see Enhance range of bioactive fertilisers tailored to fine turf areas. 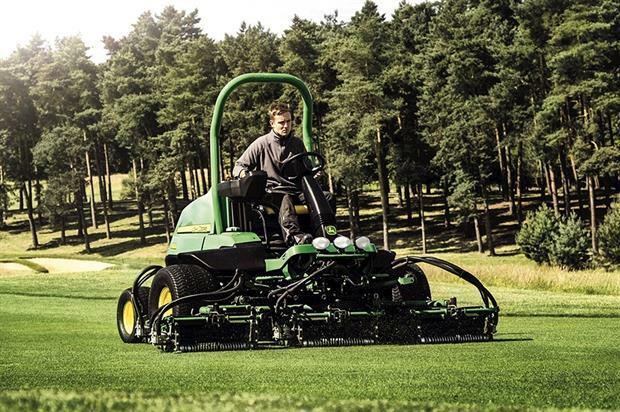 One of John Deere's new A Model fairway mowers – the 7700A PrecisionCut model – makes its debut at BTME as the company takes a small-scale stand (M20) to highlight the range's advanced features – such as TechControl display and OnCourse Technology. More mowing kit is displayed by Wessex International, in the form of the latest addition to the Wessex ProLine CRX range of finishing mowers. The new model can be mounted front or rear on tractors from 15hp upwards and is available in 1.5m, 1.8 and 2.4m widths. Also on the Wessex stand (C61) is the latest Wessex ProLine roller mower – the RMX-500 Tri-deck with wings that enable mowing of gradients from -30° to +30°, with the middle deck remaining on level ground. The Highspeed Group promises a surprise on stand C15 – but all managing director David Mears will say: "If you are washing machinery, it would certainly be in your interest to visit our stand." Focusing on golf, Souters Sports is illustrating its work at The Dukes in St Andrews, Gleneagles, De Vere Carden Park and other clubs and courses. 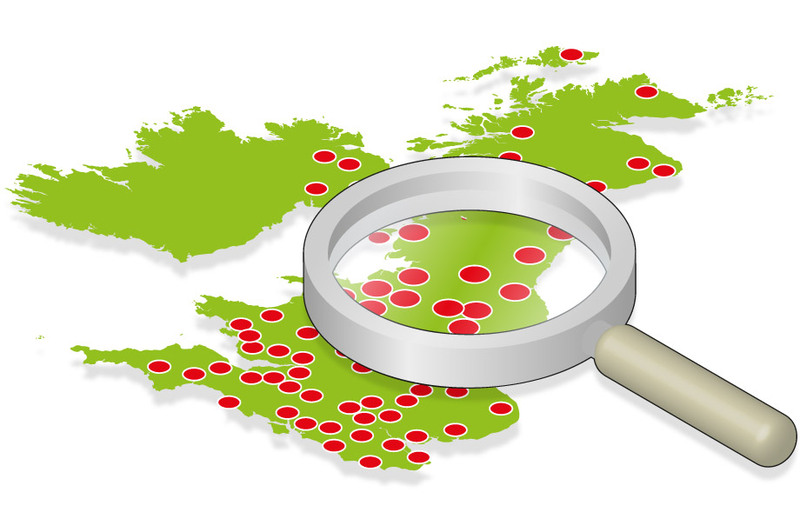 But remember, BTME is not just for the golf industry. If you tend pitches, courts or fine ornamental lawns, you will find the people to do business with are at BTME. When The show runs from Tuesday 20 to Thursday 22 January. It opens at 9am on all three days, closing at 5pm on Tuesday and Wednesday and at 4pm on Thursday. The education programme runs from Sunday 18 to Thursday 21 January. Where Harrogate International Centre, King's Road, Harrogate, North Yorkshire HG1 5LA. Admission Entry to the exhibition is free. Charges apply to workshops and some seminars. By car From the north and south on the A1M exit A59 to Harrogate. From the M1 travel to Leeds and then A61 to Harrogate. Parking charges apply at the centre. By train Main-line services run to Leeds and York. From there, regional railways operate to Harrogate. By air Leeds/Bradford Airport is 19km from Harrogate.